A revised version of my inkling. I’ve been increasingly using dualies in Splatoon 2 over my beloved inkbrush. I’m not covering as much ink, but it allows me to be a bit more wily, which is really what my original appeal of the brush is anyway. Once I’m done farming my abilities, I’ll be hitting ranked pretty heavily with them. I liked the spots on the “hair” – they’re like reverse freckles. 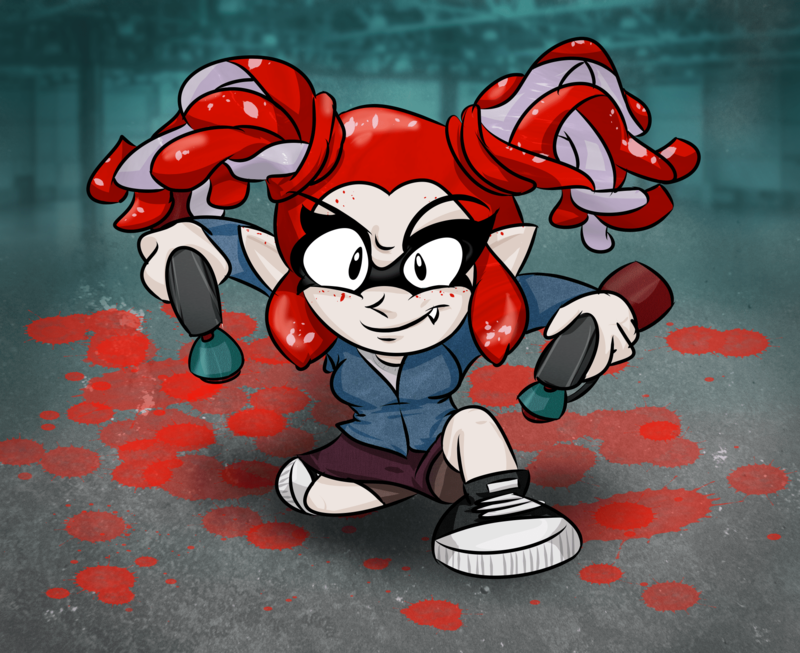 And of course, like all my characters, my inkling is yet another redhead. And the reverse freckles make the regular freckles more fun! I guess. Whatever. I know I’m stuck on this one little detail a little too much.